Contrary to popular belief, honey bee populations in Canada are actually on the rise. Statistics Canada reports that the number of honey bee colonies have grown from under 600,000 in 2003 to over 800,000 in 2016. While this is good news, there are still several factors that can negatively impact hive health. These include inclement weather, parasites and diseases and inadequate nutrition due to a lack of accessible and nutritious food. When proper food sources can’t be found, hives experience shortages of the pollen and nectar needed to help them support their hive. The good news is, there’s a way you can help promote pollinator health while also creating awareness around this important topic. Bees Matter is giving away free Buzzing Gardens seed packets to celebrate National Planting Week, happening June 5-12. Each packet contains five non-invasive, pollinator-friendly flowers that will bloom at different times of the summer so that pollinators will have access to a nutritious food source all season long. Here are the five flowers included in the Buzzing Gardens seed packets that can help bring your garden to life. These bright yellow flowers produce blooms from April to July, and their star-like shape attracts honey bees and butterflies. 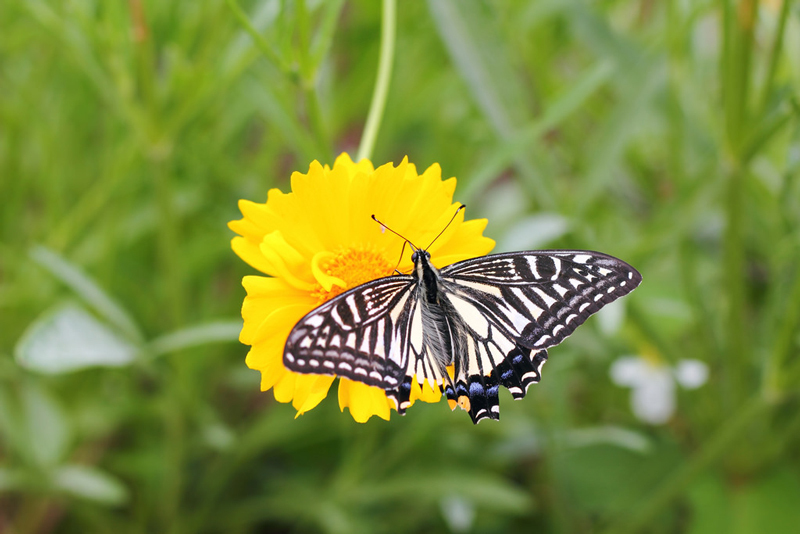 The lance-leaved coreopsis is also a great source of food for caterpillars, so this flower will truly bring your garden to life. Naturalized in Canada, it’s a perennial flower that will often self-seed, eliminating the need to re-plant year after year. 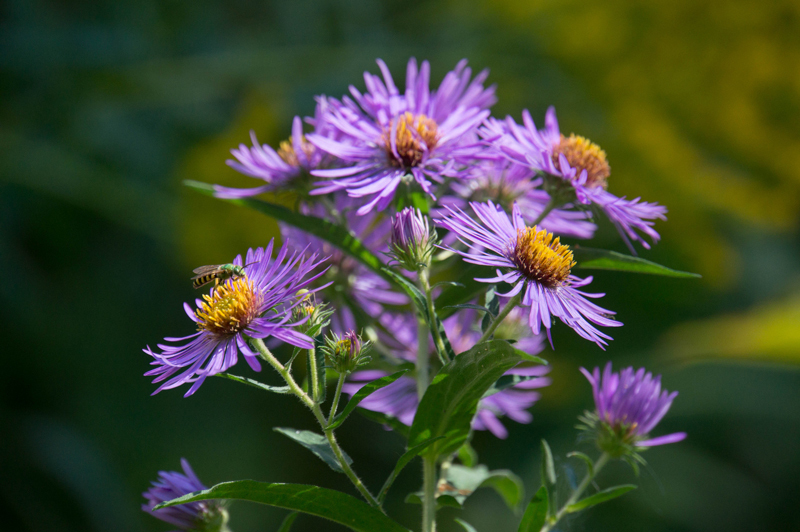 The New England aster produces huge blossoms during the summer and early fall, which means a nectar feast for honey bees. Ranging in color from purple to yellow, each blossom’s wide flower shape provides honey bees with a flat landing pad and easy access to nectar. Since asters grow in full sunlight, their vibrant colour makes them easy for honey bees to spot. 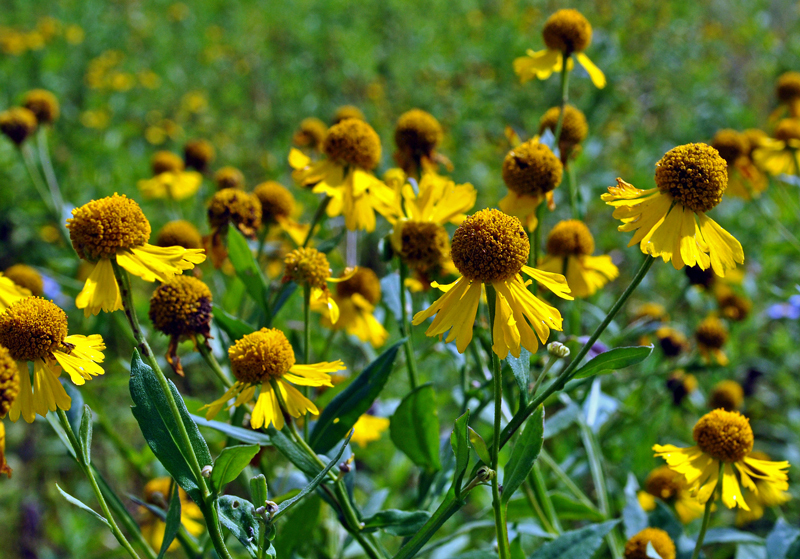 Historically, dried sneezeweed was used to induce sneezing, hence the nickname. But don’t worry, sneezeweed in its regular form won’t induce any hay fever-like symptoms and is an excellent addition to your garden. 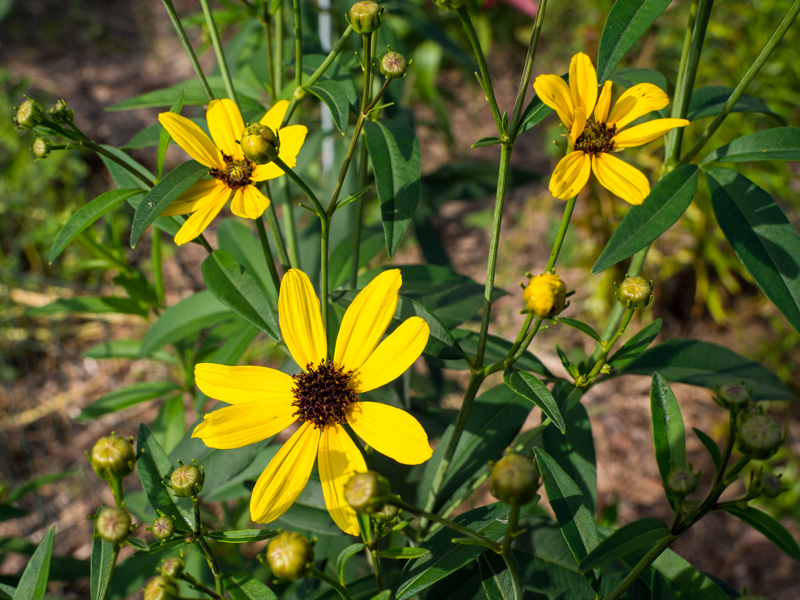 Part of the sunflower family, sneezeweed grows best in full sunlight and blooms well into late fall. The stalks grow to be between 3 to 5 inches tall, and its large round florets are loved by butterflies as well as honey bees. Known as an annual flowering plant, this pollinator-friendly flower’s mix of bright yellow and maroon petals stand out for honey bees (who sometimes have trouble seeing the color red). This flower thrives best in moist, sandy soil in partial shade and does particularly well in areas with regular rainfall. 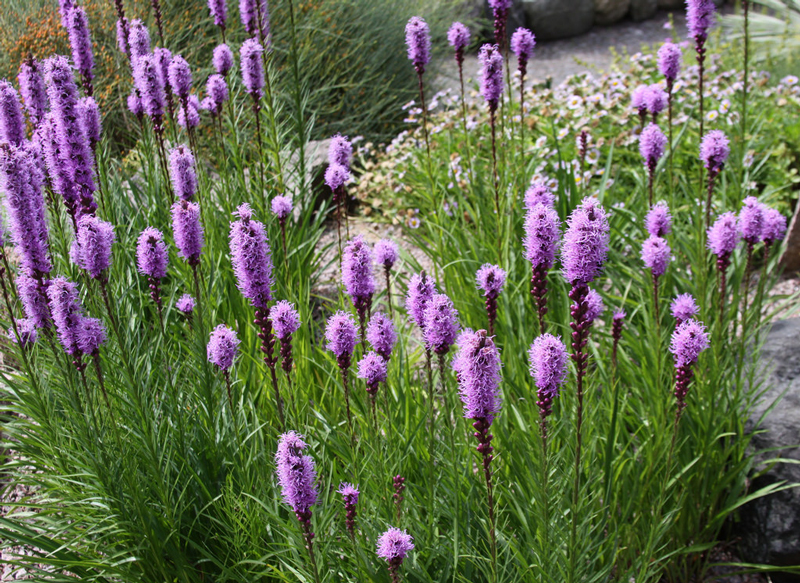 With long spikes of clustered purple flowers, the dense blazing star can grow as tall as two metres. Its bright purple color and ability to thrive in the summer months of July and August make it a magnet for pollinators such as honey bees, butterflies and even hummingbirds. Sprinkle the seeds on top of the dirt and cover them loosely with soil with a small rake. It’s important to make sure you don’t over-water your plants, as this can lead to mold and fungus build-up and can drown plant roots. If you’re worried about under-watering your plants, simply use your thumb to poke a hole about an inch deep into the soil. If the soil at the bottom is dry, it’s time to water your plants.